Oooh Strawberries!!! These ribbons are sooooo good you could eat them!! 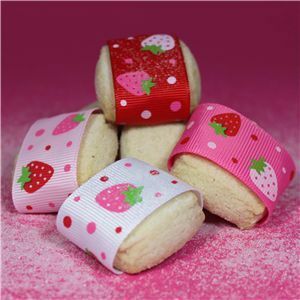 The Strawberries are printed onto 25mm grosgrain ribbons but are slighly raised, so very tactile. Scattered amongst the strawberries are matching polka dots.